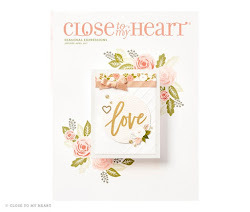 I LOVE this new paper pack from CTMH. The colors are gorgeous! I used the "Creative Basics" pack, which is great for cards because it comes with two designs of B&T paper and a spool of matching ribbon. I used a template I got from another consultant on the CTMH board. Connie Mann's cards were so darling, I had to try and make my own. I ended up with fewer than her 11 cards (not sure how), and I changed up a couple of the cards. Stamp sets used were: Happy Birthday, Butterfly Winngs (upcoming March SOTM), Card Commentary, and Thoughts of You. If nothing else, my boys have their own unique style--LOL! And this is what happens if Mommy is working on something and not watching closely (silly me, I thought they were playing Wii). The boys decided to take the yarn they picked out for scarves and make a "spider web," which went through every room in the house upstairs and down. It was pretty funny. Of course, Austin didn't think it was too funny after he had to roll it all back up. Ha ha ha. My cousin Jason used to make a spider-web in his bedroom, I only saw it once but it was floor to ceiling and wall to wall. It was pretty cool back then, but thinking about it now, I bet he wasn't happy when he was putting it away. I love your cards they are so cute. Oh thats too funny!!! Bet they had fun doing it though. Great cards, I LOVE that paper. Pity we don't have it here in Oz. Cute cards! And I just had to laugh b/c my boys love to take spools of thread and make spider webs all over our house too! Fabulous cards, the papers are all so pretty! Love the wool escapades! ~so funny!